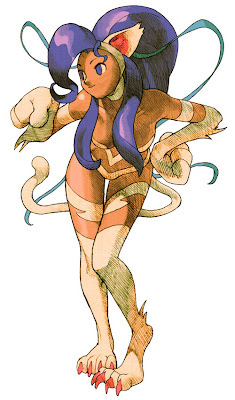 Felicia is from Capcom's Darkstalkers games. I like the character because she is graphically striking. She is fun to watch and fun to play with. Her powers and moves are based on cats. I think it is definitely worth having in your MUGEN. I have found 2 versions of the her, I don't think that this all there are and if you know of any please leave the info in the comments.